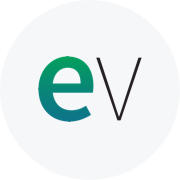 EasyVista continues to improve ability to execute and its completeness of vision in 2018. NEW YORK (August 21, 2018) — EasyVista Inc., a leading provider of service management for IT organizations, today announced it was included in the 2018 Gartner Magic Quadrant for IT Service Management (ITSM) Tools. EasyVista was selected as one of nine companies to be included in the Magic Quadrant, representing a select group of companies offering ITSM platforms that meet enterprise requirements. To download the full 2018 Gartner Magic Quadrant for ITSM Tools report, visit: 2018 Gartner Magic Quadrant for IT Service Management Tools.